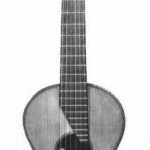 This article was first published on Matanya Ophee’s Guitar and Lute Issues site in 1997 and later on my personal site icoldwell.com. 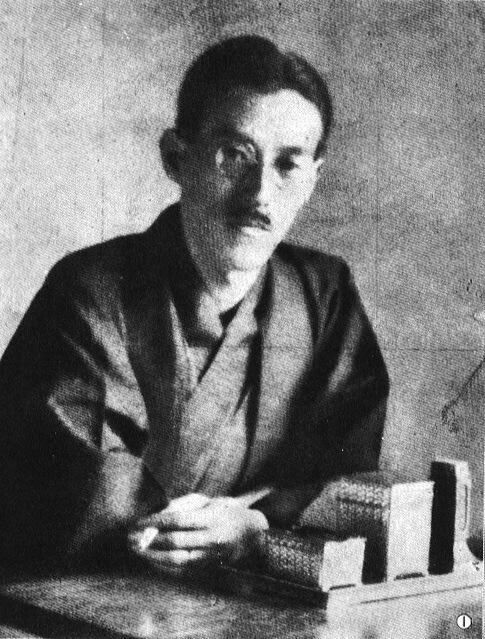 Morishige Takei was born on October 11, 1890 in Tottori City (located on the coast of the Sea of Japan between Hiroshima and Kyoto) while his family was living there for a short time. His father was the Tottori prefectural governor, but the year after Takei was born the family moved to Tokyo. In 1910 he entered the Tokyo Foreign Language School and majored in Italian. After receiving a scholarship from the Italian Society he traveled to Italy in May of 1911. It was apparently during his time in Italy that Takei first encountered the guitar. He returned to Tokyo in October, 1911 and graduated from the school in March of 1913 at the top of his class and received a prize from the Italian government. It was at this time that he first began learning the guitar. Upon graduation he was given the title of “director” for his father’s companies. 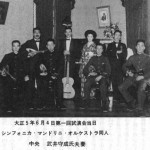 On September 26, 1915 he started a mandolin ensemble with Tsunehiko Tanaka and took the guitar part. The mandolin ensemble was formally named “Sinfonica Mandolini Orchestra” on May 4, 1916 and the monthly publication of the “Mandolin and Guitar” journal was commenced. “Mandolin and Guitar” was the first publication in Japan to be devoted to these instruments. The first issue was a very modest undertaking consisting of only 9 pages of B5 size paper. The first recital of the newly formed orchestra was on June 4 of the same year. The first three recitals were held at Takei’s home in a rehearsal hall he had built on his property in Tokyo. Performances varied widely and included guitar solos, duos, trios, banjo solos, mandolin solos, mandolin or guitar works with piano accompaniment (played by Takei’s wife Hanako) and works for mandolin orchestra. 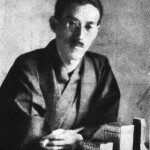 On December 28, 1917 Takei entered the service of the Department of the Imperial Household as an Officer of Ceremonies. In 1919 he began composing for the guitar with the first two works being: “Ricordi d’Infanzia” (E Major tuning) written in July; “Passegiata Campestre” (open D tuning) written in August. These early compositions were about the only ones that used an alternate tuning, but Takei often wrote for a guitar with the 6th string tuned down to D. Takei also wrote many compositions with steel strings in mind. One of the reasons for this is that, even though gut strings were available, the humidity in Japan made them difficult to keep in tune. Also many instruments imported from Italy and America at that time were strung with steel strings. Takei himself used gut strings early in his studies, but probably one of the reasons he switched to steel strings in the 1920’s was the necessity of making the guitar heard in a mandolin orchestra. In an article in “The Study of the Mandolin and Guitar” in April of 1936 he admitted that the use of steel strings probably had hindered the development of the guitar in Japan. * Takei wrote a total of 114 works for guitar, mandolin, and ensembles of these instruments. 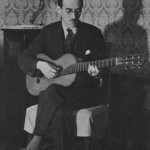 57 works were for solo guitar and his last work, Op.114, was written in the latter half of 1949. 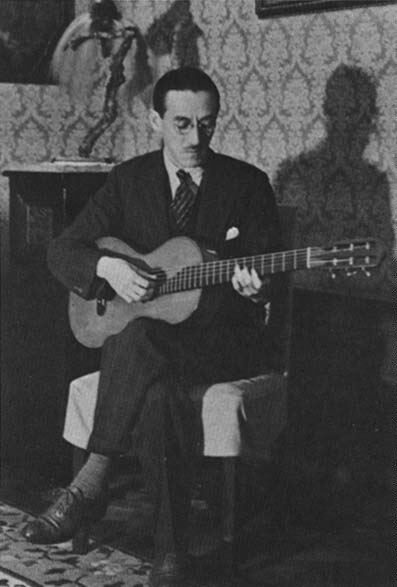 Takei held a joint solo guitar concert with two other members from the Sinfonica Mandolini Orchestra in March, 1921 titled “La Serenata Musicale per Chitarra.” He played Tarrega’s “Capricho Arabe,” Vreeland’s “Gondoliera,” and Olcott-Bickford’s “Janet.” Apparently, half way through the Capricho he missed a note and after checking the instrument began again from the beginning. However, after missing a second time he played a more familiar work instead. The two other guitarists did not fare quite as badly, but their performances could not be said to be anywhere near inspirational or immaculate. Other perfomers had more successful concerts, but this example is indicative of the difficulties faced by those at the forefront of the Japanese guitar at that time. In December, 1921 he was given the additional responsibilities of the Chief of the Music Section of the Department of the Imperial Household. In addition to the music he also acquired about 500 magazines from the late 19th century. These include: The Troubador (1890-1901 issues), Measure (issues from 1900), Gitarist [from Russia] (1902 issues), Die Gitarre, Revue (1897-1902 issues). He also bought a Mertz manuscript to add to the Carulli manuscript he had bought earlier. 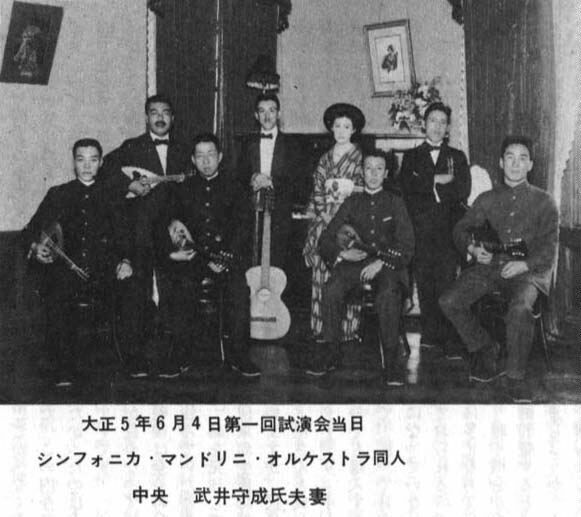 On January 21, 1923 Takei sponsored the 1st All Japan Mandolin Ensemble Concorso. This was the very first concours to be held in Japan, but unfortunately is not recognized as such today. Later that same year on the 1st of September Takei’s collection was completely lost in the fire that resulted from the Great Kanto Earthquake. The only part of the collection that was saved was his Lacôte which was not at his home at the time. His collection, of course, contained the music bought from Philip Bone. In December of 1923 the orchestra was reassembled and renamed “Orchestra Sinfonica Takei.” The following March the previous journal, “Mandolin and Guitar,” was renamed “The Study of the Mandolin and Guitar” and resumed publication. By October of 1924 the orchestra was prepared to continue their concert schedule. Also in October Takei published a book titled “Mandolin, Guitar and Their Orchestras.” This is a very comprehensive, 500 page book that covers topics such as: histories of the mandolin and guitar, performance tips for orchestras, a 10 year history of the Orchestra Sinfonica Takei, etc. October also saw the inauguration of the 1st Composition Concorso sponsored by Takei. In 1925 Takei took over four “European libraries” and his collection was resumed. He again bought material from Bone. He acquired 10-20 portraits of guitarists and composers including Giuliani, Carulli and Sor. Many of these were apparently the same ones that appeared in Bone’s book. The music he bought included additional copies of Giuliani’s concertos, an ensemble work (including mandolin) by Molb [spelling? ], about 10 works by Pratten, the complete works of Mertz, variations by Weber, and two manuscripts by Jansen [?]. Takei is unclear about exactly where these four “European libraries” came from, but in an article in the March, 1927 issue of “The Study of the Mandolin and Guitar” Takei mentions that he bought music from two locations in Germany – the former collection of Johann Rotwiel [spelling?] and a “rental library” in Regensburg. Works included: Carulli, Derwort, de Call, Carcassi, Diabelli, Dunst, Ferrari, Giuliani, Horetzky, Kapeller, Küffner, Hummel, Löhr, Mekarsky, Oberleitner, Padowetz, Raab, de Schaky, Sobernheim [? ], Stoll, Wanczura, Briest, Neumann, Müller, Kreutzer, Navone, Bayer, Gode [? ], Lemoine, Strauss, etc. (One-third of these works were from the Rotweil collection.) The interesting thing about the items from the Rotweil collection is that they carry an ex libris stamp with the date 1813. When Takei bought these items he still had contacts with Bone, but apparently Bone had increased his prices but was offering less interesting items. In October, 1925 he published a second book titled “Glimpses of the Mandolin and Guitar.” Also a 500-page book, it focused on individual guitarists and mandolinists. There are articles on Vahdah Bickford, George Krick, William Foden, Carlo Munier, etc. There is also a large section of articles written by Takei on various topics such as: the faults of guitar and mandolin performers, criticism of the first opuses of famous guitar composers, etc. Takei took much of his information about foreign composers from Bone’s “The Guitar and Mandolin” and issues of Cadenza and Crescendo from America. In September, 1926 he performed in the presence of the Swedish Crown Prince and Princess at the detached palace of Kasumigaseki. Unfortunately, I have not found any information related to this performance. Though the dates are confusing, it was most likely in the last half of 1926 that Takei actually succeeded to the title of Baron. This occurred with the death of the Taisho Emperor and the ascedancy of the Showa Emperor in 1926. 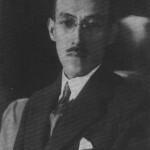 Andrés Segovia came to Japan in October of 1929 for a series of concerts at the Imperial Theatre in Tokyo (and also performed in Osaka and Kobe). Takei wrote the program and notes for his performances. Numerous articles appeared in the October, November, December and January issues of “The Study of the Mandolin and Guitar” written by Takei and others. During the years 1929 – 1931 Takei purchased at auction (by telegraph) letters written by Mauro Giuliani. More information about this can be found in Thomas Heck’s “Mauro Giuliani: Virtuoso Guitarist and Composer” (Editions Orphée, 1995). In March, 1931 he was appointed a member of the committee of the Second Conference of the International Mandolin Music Federation in Zurich, Switzerland. This is another of Takei’s activities that I have not been able to research. Here is the photo for Orchestra Sinfonica Takei’s 1934 New Year’s card. 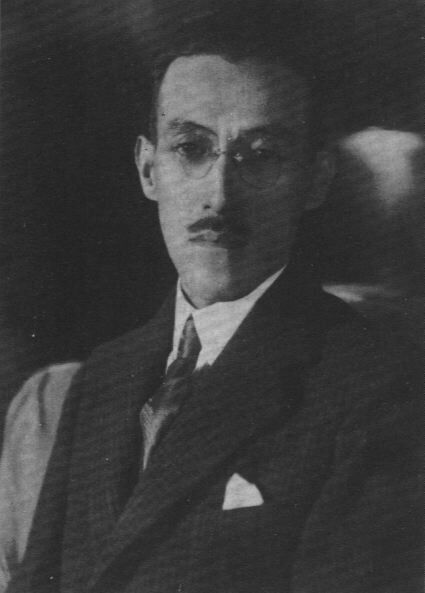 Owing to Japan’s war activities the Orchestra Sinfonica Takei had its name changed to Takei-Gakudan (“gakudan” is the Japanese name for orchestra) in June of 1941. Because of a shortage of paper “The Study of the Mandolin and Guitar” (Mandorin Gitaa Kenkyu) ceased publication and its replacement “Mandolin and Guitar Research Articles” (Mandorin Gitaa Kenkyu Shiryo) was begun and published bimonthly – this was in a single page, newspaper format. 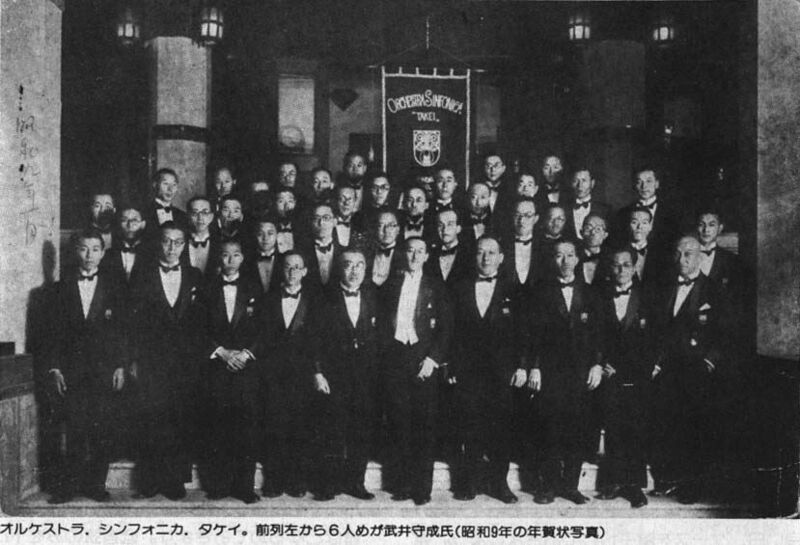 The last concert of the Takei-Gakudan was held in December, 1943. On May 25, 1945 Takei’s house in Tokyo was burned down during an air raid. Because his collection had mainly been kept in a cellar most of it was saved, but it is unclear what items were actually lost. The Giuliani letters Takei owned are of particular interest since their location is unknown and it can only be assumed that they were part of the collection that did not survive the air raid. It is known for a fact that since the house above ground was completely burned nothing could have survived outside of the cellar. He was appointed Grand Master of Ceremonies of the Department of the Imperial Household on April 1, 1946. In March of 1947 he retired after receiving the Shinnin rank [personal appointment to the Emperor] (I’m not sure of its equivalent in the West). 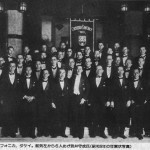 The first concert after the war of the Orchestra Sinfonica Takei was held on November 6, 1949. While conducting the rehearsal of a perfomance of the orchestra on the 12th of December, 1949 he fell ill and subsequently died on the 14th. On the 20th he was posthumously promoted two ranks to the Junior Grade of the Second Rank. At the time of his death his friends were preparing a two volume collection of his works for guitar. Unfortunately Takei only saw the publication of the first volume. These volumes were issued as one book of music in 1965 from Zen-on Music Publishers. This book has long been out of print and there is little recognition of Takei’s activities by today’s guitarists other than a Takei Prize awarded at the Tokyo International Guitar Contest. However, Gendai Guitar published, in 1995, a photo book of the history of the guitar in Japan with one page devoted to Takei. Though none of Takei’s music could be considered to be repertoire standard, he should at least be remembered for his efforts and activities which kept the study of the guitar alive through the first half of this century in Japan. * Takei’s collection currently resides in the library of the Kunitachi Music University in Tokyo. It is still unavailable for public access. A large portion of the collection is made up of 19th century editions.